Twenty-five years old this year, the newly relaunched award recognises the best literary work of fiction, non-fiction or poetry by a British or Irish writer of 35 and under. £5,000 is given to the winner, and £500 to each of the three runners-up. 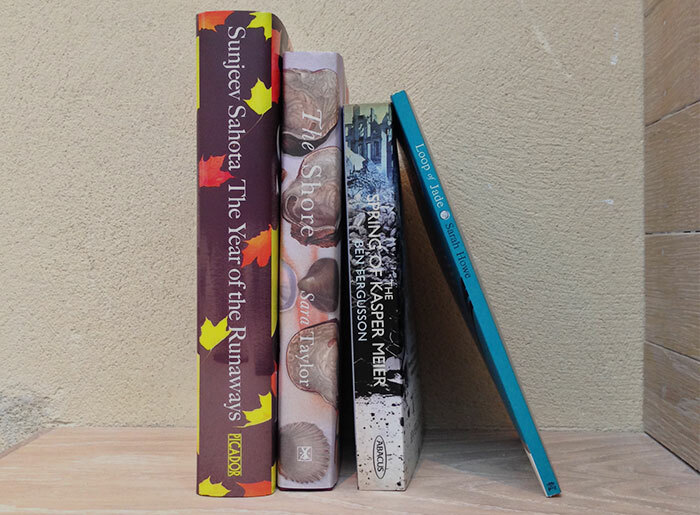 Covering a rich variety of genres and forms, the 2015 shortlist includes: Ben Fergusson with his critically acclaimed historical fiction debut, The Spring of Kasper Meier; Sarah Howe and her poetic exploration of heritage and identity, Loop of Jade; Sunjeev Sahota with his second novel, the Man Booker shortlisted The Year of the Runaways, a timely take on the British immigrant experience; and Sara Taylor’s Baileys-nominated collection of interlinked short stories, The Shore. The shortlist successfully showcases the breadth and depth of young writing today, drawn up by a judging panel comprised of novelist and winner of the award in 2000, Sarah Waters; The Sunday Times Literary Editor Andrew Holgate; and Chief Fiction Reviewer Peter Kemp. Since it began in 1991, the award has had a striking impact, boasting a stellar list of alumni that have gone on to become leading lights of contemporary literature. Previous winners include: Ross Raisin, God’s Own Country (2009); Adam Foulds, The Truth About These Strange Times (2008); Naomi Alderman, Disobedience (2007), Robert Macfarlane, Mountains of the Mind: a History of a Fascination (2004); William Fiennes, The Snow Geese (2003); Zadie Smith, White Teeth (2001); Sarah Waters, Affinity (2000); Paul Farley, The Boy from the Chemist is Here to See You (1999); Patrick French, Liberty or Death: India’s Journey to Independence and Division (1998); Francis Spufford, I May Be Some Time: Ice and the English Imagination (1997); Katherine Pierpoint, Truffle Beds (1996); Andrew Cowan, Pig (1995); William Dalrymple, City of Djinns: A Year in Delhi (1994); Simon Armitage, Kid (1993); Caryl Phillips, Cambridge (1992); and Helen Simpson, Four Bare Legs in a Bed and Other Stories (1991). The winner of The Sunday Times / Peters Fraser & Dunlop Young Writer of the Year Award 2015 will be revealed on Thursday 10 December.